HOW DO I SIGN UP FOR RECREATIONAL SOCCER? Yes. Registering early provides a better chance for placement close to home. Siblings: More than one child shall pay $10.00 plus $8.00 County Fees per additional child per family. Submitting Financial Aid Documents: If applying for the reduced scholarship fee, please select the “Check” payment option (the new registration database system does not have a “Scholarship” payment option, therefore you will need to select the “Check” payment option), then scan or take a picture of accepted documents and send them via email to Jessie Gore, admin@lmvsc.org. DOES LMVSC OFFER ANY OTHER DISCOUNTS? LMVSC also offers the Family Max discount. A family maximum of $200 for all registrations done at the same time. Please note that the LVMSC Recreational Soccer “Family Max” does NOT apply to the LMVSC Instructional Developmental Programs: Soccer Tots Academy, Mini Kickers Academy, Pre Developmental Academy, Junior Developmental Academy, or the Patriots Developmental Academy, as well as the Travel Program. This $200 does not include the $8.00 per player County Application fee. Pre Kindergarten (Mini Kickers) and Kindergarten (E Division) are LMVSC’s only co-ed divisions. HOW OLD DOES MY CHILD HAVE TO BE TO START PLAYING SOCCER? For LMVSC’s youngest recreational division, Mini Kickers, your child must be 4 years old on or prior to AGE DEADLINE. Players are placed on teams based on their age for Kindergarten. Players are placed on teams based on grade for 1st grade through 8th. Players who are older (e.g., have been held back in school one or more years) may, with prior approval from the league, play in the division appropriate for their age. Such requests must be made separately in writing by e-mail (Director@lmvsc.org) or letter (LMVSC, P.O. Box 10202, Alexandria, VA 22310). No other exceptions will be made. WHAT IF I WANT MY CHILD TO PLAY WITH FRIENDS OR WITH A CERTAIN COACH? Unless you indicate otherwise, we will use your local elementary school for first priority in placement. On your child’s registration form there is a “Special Request” section. Please specify any preferences with respect to coach, friends or school area. However, keep in mind that teams are filled on a first-come, first-served basis and players who register earlier have priority. If your child attends a private school or a special program at a public school that is not the closest one, simply indicate the local elementary school or private school you want us to use for placement under Special Requests. AA and AAA divisions High school (9th-12th grades) players play nine games through the Suburban Friendship League (SFL). SFL teams are formed by age. If you registered online, you will receive e-mail verification. If you registered via the postal service, you will receive an email from your child’s coach on or after the scheduled coach’s meeting for all Divisions. Please view the Club’s Calendar schedule HERE for the date of the coach’s meeting and allow 5-6 days after the meeting for your child’s coach to contact you. LMVSC player directors are often working until the day of the coaches’ meeting to form teams. Your child’s coach will contact you after he or she is given the team roster at the coaches’ meeting. Please view the Club’s Calendar schedule HERE for the date of the coach’s meeting and allow 5-6 days after the meeting for your child’s coach to contact you. Please view the Club’s Calendar schedule HERE for the date of the first weekend of recreation soccer. Pre-Kindergarten Mini Kickers, will participate in age specific training sessions on Saturday mornings. Kindergarten, 1st and 2nd grade players will practice one day a week. All other divisions practice two days a week. There typically will be games scheduled on Sunday especially during the Fall season. Based on field allocations received from the County and the number of teams to schedule, your child’s team may play on one or two Sunday’s. Also, if games are cancelled due to rain or unplayable field conditions, LMVSC may re-schedule games on Sunday’s. LMVSC’s coaches are volunteers. Your child’s coach will determine what day and time works best for the coach’s work schedule. We do not guarantee days and times for your child’s practices. Unfortunately, we have no way to determine practice days and times for a particular team until after the coach’s meetings. Coaches select practice locations and times at the same time as they get their rosters. 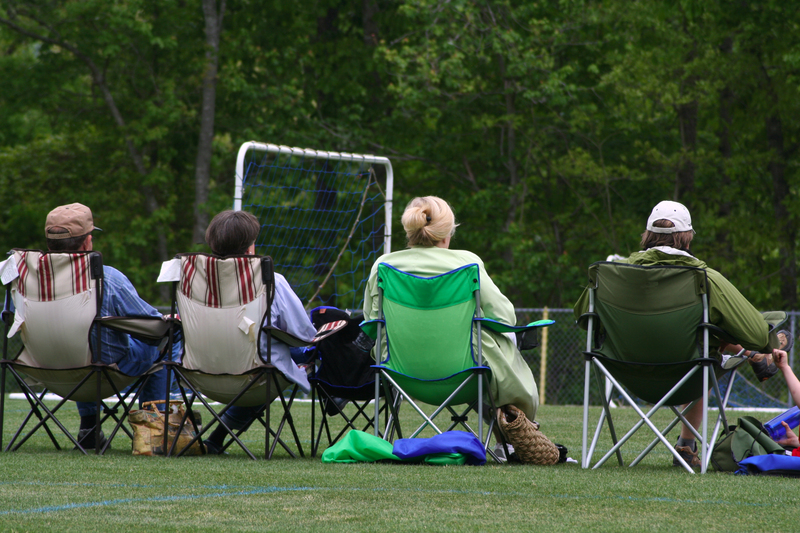 Fairfax County allocates a limited number of practice fields to LMVSC teams, generally in late February. Although we form teams based on school locations, we don’t necessarily receive every school field for practice. Our volunteer coaches usually sign up for the closest field available that meets with their personal work schedules, based on the list of available locations they receive at the Coach’s meeting. Please know that we try very hard to make it as convenient to parents as we possibly can by matching players with a coach who is located in the same area. Uniform – the league provides a jersey, shorts and socks. The jersey and shorts must be returned at the end of the season. Shin guards are required for all soccer players. Cleats/shoes – your child will also need soccer cleats or turf shoes. Shoes with a cleat at the front are not permitted. Soccer Ball – we strongly recommend all players have their own ball. Kindergarten, 1st and 2nd graders use a size 3 ball. 3rd/4th/5th/6th graders use a size 4 ball. 7th graders and above use a size 5 ball.